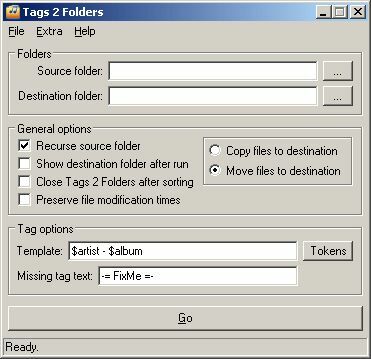 Tags 2 Folders is a music file organizer that arranges tracks into separate folders based on embedded tags. It is developed by skwire. The tool will scan through folders of music files, and arrange them into separate folders based on the Artist and Album information included in the embedded tags.